Discover spectacular seascapes and top attractions including Nanya and Jiaoshi Hot Springs on this private 9-hour northeast coast tour from Taipei. 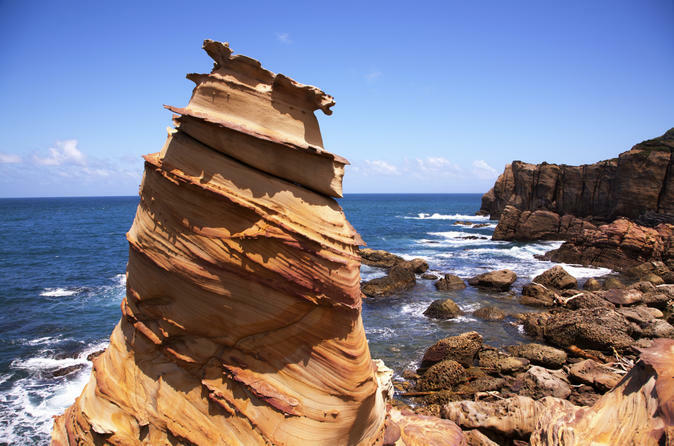 Explore Nanya’s rugged shoreline and sandy beaches with your private guide. Admire fine sea views from the lighthouse at Cape Santiago. Following a fresh seafood lunch, take a break on the sand or swim in the sea at Fulong Bathing Beach. Visit the Jiaoshi Hot Springs, widely considered among the world’s top hot springs. Soak in the hot and cold waters, and enjoy complete relaxation for mind and body!